Lyrically infectious with his merge of patios and pidgin. Rock your body is a female centered musical comunicado that grabs and retain your attention from the start to the end with pulsating beat and vocal interjections. 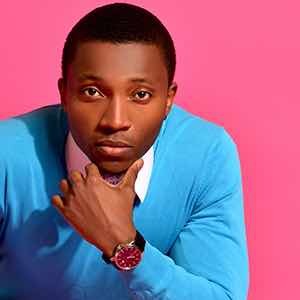 Nigeria Afropop artist Dami Ebunola Ogulu was born in Portharcourt , and later relocated to Lagos state where he established himself as a force to reckon with on the music scene. With one of the brashest persona in the music industry, Burna boy probably has one of the best blend of dancehall, reggae and Afrobeats. He rose to prominence after he released a single titled "Like To Party" which was produced by Leriq. Rock your body is another steady paced song with a mish-mash of patios and pidgin like his many other hits. Rock Your Body was produced by Ghanaian-British producer Juls. This song is a magical blend littered with juls mid-tempo highlife approach and burna boy uncensored orientation. TJConnects is a tech specialist that currently lives and works in London, with over 10 years’ experience within the diverse Infocomm technology sector . I have been able to manage working on a few music projects as ad-hoc from time to time. My relentless passion for music has been well documented through my lens as an amateur DJ from college days then to working as a trainee stage manager for a Live band , and further evolving into a different role as an artist manager / A&R consultant for indie artist . Curating beautiful sounds comes to TJ easy due his greatly soft obsession for music.